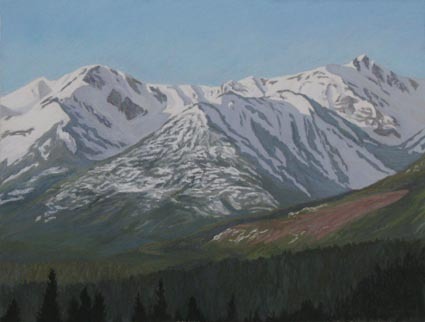 Outside the original site of the Caribou gold mining, renewed interest in the gold not yet recovered has resulted in recent mining activity. These piles of rock, gravel, and sand are the result of such activity, located just outside the historic mining town of Barkerville. 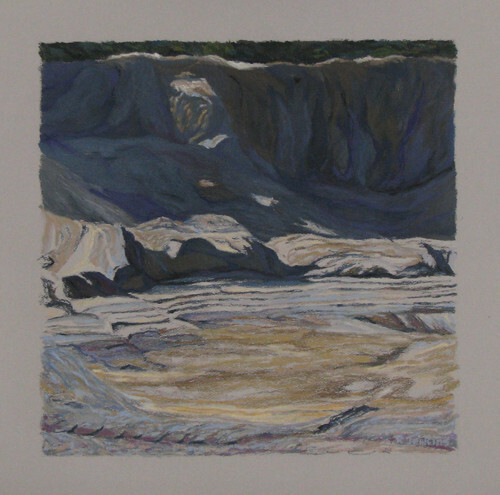 pastel, 2011 22" x 30"
The reconstructed town of Barkerville, an early gold-mining town central to the formation of British Columbia, now a restored tourist attraction. 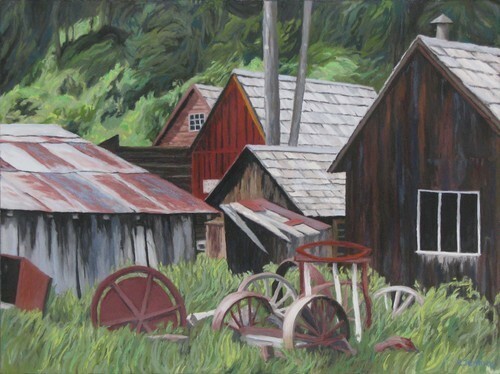 It is set in the Caribou mountains of Central BC; I painted it with the weathered machinery and buildings, and grasses and trees overtaking it. 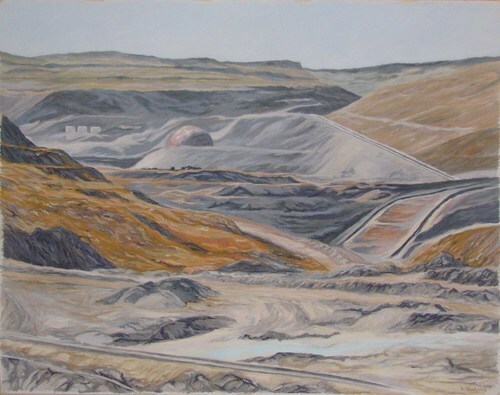 pastel 2010 38" x 52"
The Highlands Copper Mine, located between Ashcroft and Logan Lake, one of the largest in the world. A man-made Grand Canyon. This series is taken from a view alongside Williams Creek, which runs alongside the historic gold mining town of Barkerville. The rocks in this creek have been searched over by many in the quest for gold; they come dug up from from all sorts of local strata, resulting in a large variety of material. It seemed right, in painting this series, to leave it partly unfinished, some rocks done in detail, others just suggested, much like the way someone searching the rocks would see them. A late spring afternoon in the hills above Golden, looking north.